The beauty of photography is that no individual style or theme is better than another. Amazing images can be created outdoors or in the studio and range from simple and classic to charming and whimsical. When planning your newborn session, you have so many options to choose from in order to find a style that best fits your family and portrait needs. When you design a session with me, we’ll do a consultation before the session. You’ll have the chance to fully customize your session and pick out everything I use for during the session yourself – you have the control to design it to fit your exact tastes. Check out my newborn portfolio for ideas and you’ll find everything from idyllic beach scenes to classic mother and newborn photos. Some like more elaborate photographs infused with lots of color and creativity while others prefer more neutral backdrops with minimal props. Either way, I have everything you need in my studio so you don’t have to bring a thing. If you aren’t quite sure if you’re leaning more toward colorful or neutral, look around your home and see how you tend to decorate. What colors match your home? The nursery? Also, keep in mind where you’ll be using your newborn photos. Playful, colorful, and whimsical photos can add décor to the nursery, while a more neutrally-themed image may look great on an enlarged canvas for your master bedroom. Do you have a theme for birth announcements? Let me know, and we can incorporate it! I plan on showing you lots of different photographs to highlight the benefits and differences between going colorful or keeping things neutral. In the end, if you still can’t decide, we can do a little of both! If you are ready to book your newborn photographer, contact me today. 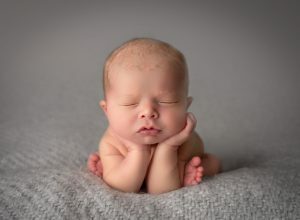 Complimentary consultations are so much fun as you select all of the items we’ll use to create beautiful photographs of your newborn and family.